- Gum recession and enamel wear can be caused by overbrushing, and over time this can lead to exposed dentine and sensitive teeth. 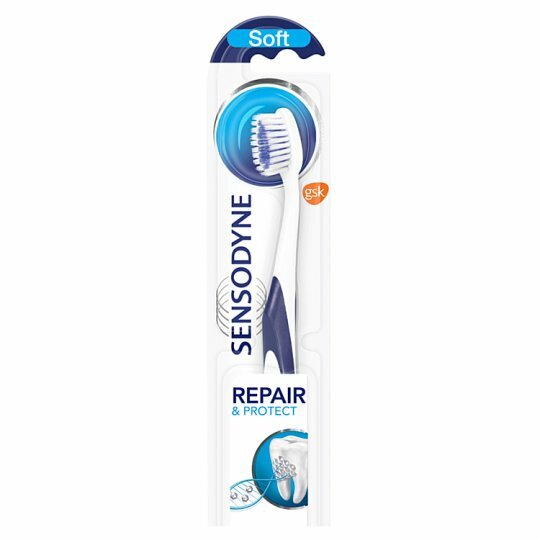 - Sensodyne Repair & Protect toothbrush has been specially designed with gentle bristles. 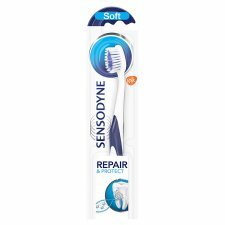 Sensodyne Repair & Protect toothbrush has bristles which flex on contact with the teeth and gums to help provide gentle cleaning. - The outer bristles have tapered filaments that make the soft tip even more flexible to help protect against overbrushing. For cleaning of your teeth and gums, we recommend twice daily brushing with Sensodyne Repair & Protect toothpaste and toothbrush. Children under 6 years should be supervised during brushing. Do not allow bristles or toothbrush to be chewed. 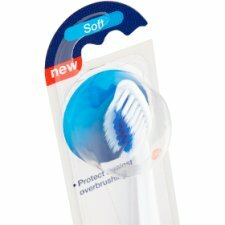 It is recommended that toothbrushes are replaced every 3 months.